Next Monday July 17 will see the start of the emblematic International Contest of Habaneras and Polyphony, world benchmark for choral singing that takes place every summer in Torrevieja. 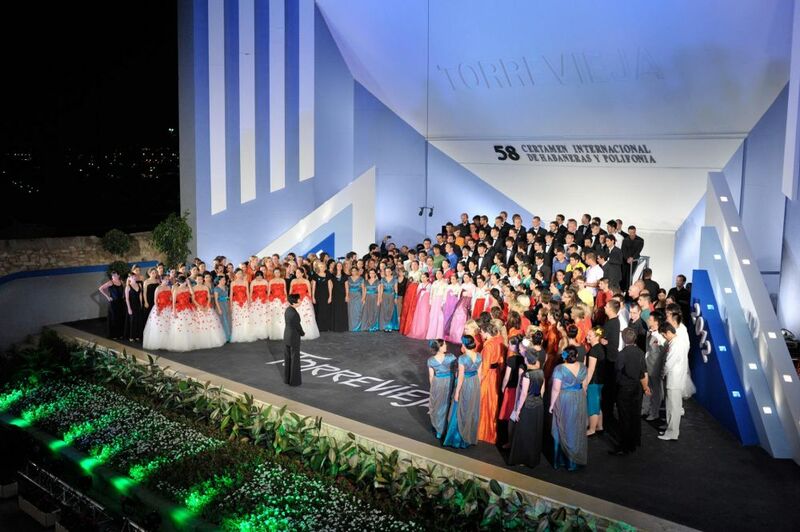 From the 17th to the 23rd of July, the 63rd edition of the Contest will feature twenty chorals of high musical quality from nine different countries: Argentina, Spain, Indonesia, Latvia, Poland, Russia, Serbia and Ukraine. The Habanera is a specific type of music that originated from Cuba in the 19th century. It was the first written music to be rhythmically based on an African motif, and the first dance music from Cuba to be exported all over the world. The first Habaneras Contest was held in 1955 marking the beginning of a cultural and musical event that contributed to expand Torrevieja´s brand image. In this perspective, supported by the incomparable weather conditions and the excellence of the beaches of Torrevieja, Costa Blanca, the main goal of the contest was to establish the foundations to develop local tourism. Nowadays, the Torrevieja International Habaneras and Polyphony Contest is the most outstanding event of its type in Spain. Do not miss it!